You want to plan a romantic evening at home for you and that special someone but you don't know where to begin. Don't worry, you can plan the perfect romantic evening at home in no time. Arrange a babysitter. If you have children the first you want to do is arrange a babysitter, preferably for overnight so you can enjoy your romantic evening at home with your date. Purchase a gift for your date. If you want this night to be perfect, don't forget a simple gift such as a bouquet of roses, a small peice of jewelry, a stuffed animal, a card, or even a nice set of pajamas. Plan a meal. Make sure you make it small, light, and save room for dessert. If you make it too big and you both get full your romantic evening might end in a snooze fest. Some good ideas might be a small steak and baked potato or grilled chicken breast with pasta. You could also serve bread and a small salad. Don't forget to serve your meal with wine or champagne. Nothing says a romantic evening at home with your date will go great like a wonderfully planned meal. Include dessert for your romantic evening at home. Before you let your mind wonder off from that short sentance think about some romantic foods for desert such as finger foods that are sweet and light so you can feed eachother. Some good ideas are strawberries and hot fudge, whip cream, peices of different types of chocolate, or other kinds of fruits. Cakes, pies, and cookies should be left for another time. You don't want to get full and you don't want crumbs everywhere. Light the room with candles. Dim the lights, but not too dark, you want to see good enough to enjoy your meal. 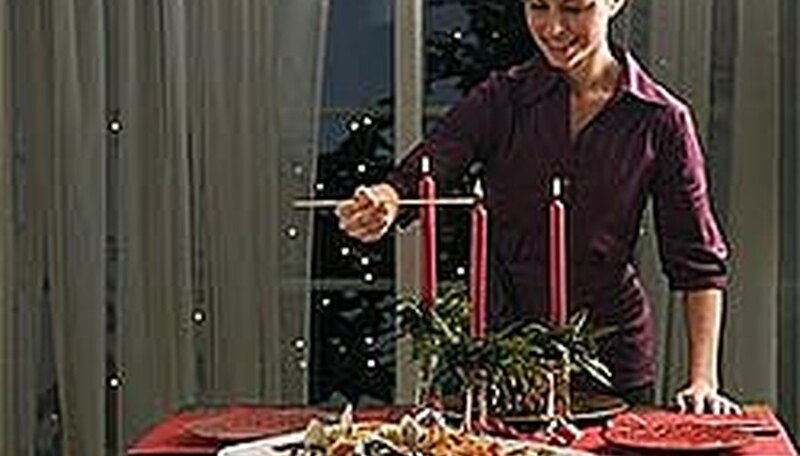 Place candles around the entire home for your romantic evening. In the hall, the bathroom, the living room and kitchen... and most of all, the bedroom. Play appropriate music. Frank Sinatra and Dean Martin are excellant choices in music for a romantic evening. You could also go full on classical. If you want the night to be even more personal you could burn a cd prior with some light romantic soft rock hits of your favorite. Instead of just your favorites, you could include some of your dates as well. Make a bubble bath. If you really want to take things to the next level, after dinner is over you could run a nice bubble bath for the two of you for a truley passionate romantic evening at home. Make sure your date would be okay with something like this, you do not want to scare them off with a surprise. Throw rose petals about the home. Put rose petals in the bath water, on the floor, the couch, and the bed. Make sure the house is clean and smells nice. Clean the place up, get out the insense and aromatherapy candles. Find scents that allow for relaxation, romance, and calming. Give massages. If you have body oil you may want to lay it out for easy access. Since this evening is all about relaxing you may want to give eachother a massage. Turn your phones on silent or off. You don't want a rude interuption if your focus is going to be on your date. You can check it from time to time to see if you missed any calls. Warn your friends and family to not come over. If you often have company you may want to call and warn them ahead of time that if they are thinking of dropping by, not to bother. Contributor. "How to Plan A Romantic Evening at Home." Dating Tips - Match.com, https://datingtips.match.com/plan-romantic-evening-home-5026593.html. 27 April 2015.